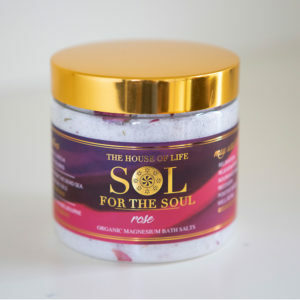 SOL may assist with muscle fatigue, muscle cramps, recovery, sleep and relaxation. Handcrafted and made with love in Melbourne, simply add a large handful to a warm bath and soak for 20 minutes. 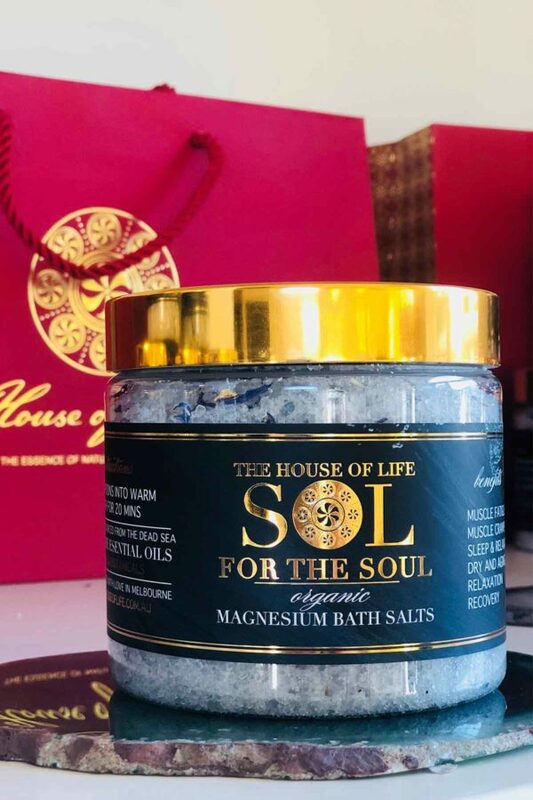 You may find that this product becomes moist over time – this is due to high concentration of essential oils and the natural property of this type of salt. 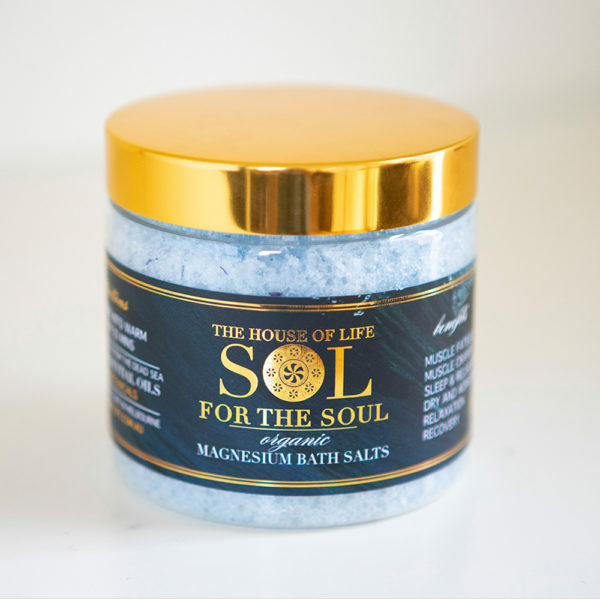 Nourish your soul with our organic transdermal magnesium bath salts – SOL for the Soul. Exclusively sourced from the dead sea and combined with magnesium flakes. 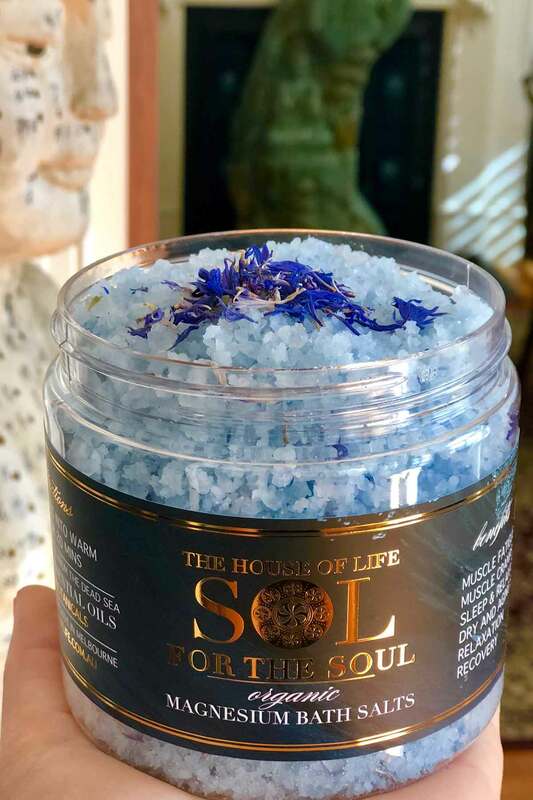 Contains pure essential oils and aqua botanicals including blue chamomile, lavender, camphor, wintergreen , blue tansy and a secret ingredient sourced from the pristine waters of Canada.